With the new Global Cup race series fast approaching, some more details of the specifications have been revealed. Since the actual race car's specification will be different to that seen on the concept, I thought these details would be more suited to the "ND Technical" page so I've created this second post away from the original SEMA show car. 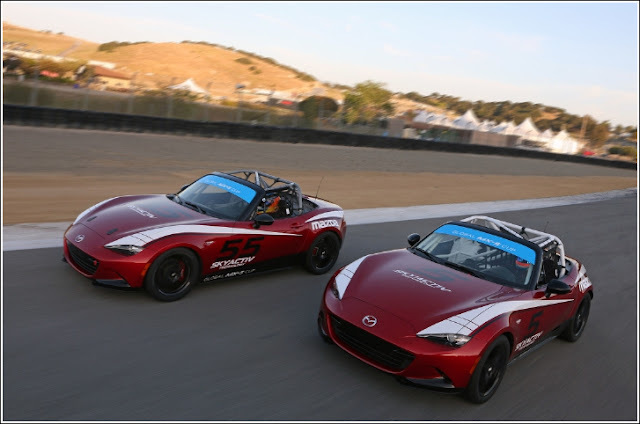 The first production model Cup race car is being showcased as the newest addition to Mazda Raceway Laguna Seca's fleet of safety vehicles. 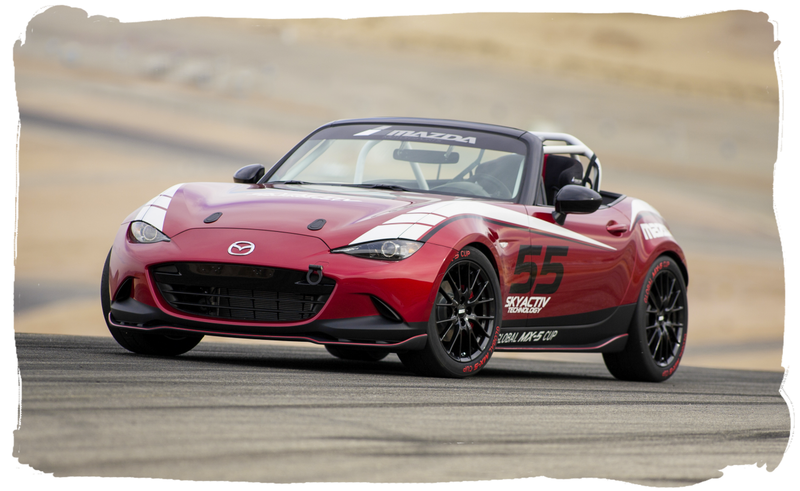 It features Sparco race seats, roll cage, additional safety lighting, 17" BBS wheels, Brembo brakes, and Bilstein suspension. 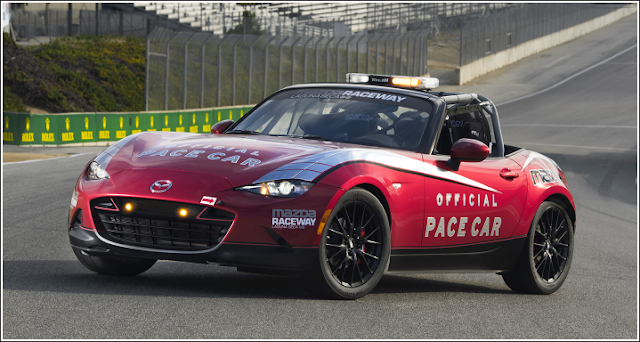 The pace and concept cars' liveries were applied by StickyFingers Design. The Global Cup specs include several 'sealed' parts meaning they cannot be adjusted or modified by teams. It's interesting to see the car's ECU is provided by the UK company GEMS. Manufacturers and suppliers for some of the other parts are still being finalised. 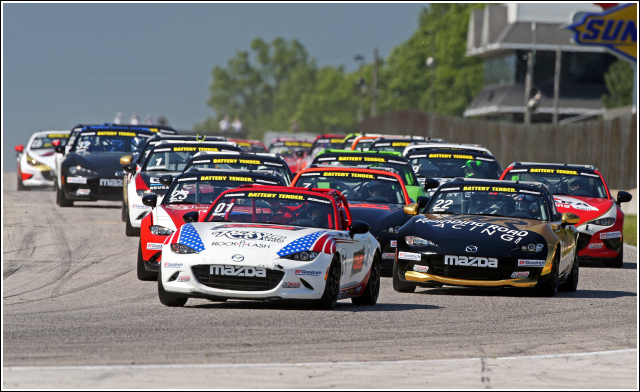 Orders are now being taken, priced at $53,000 for a fully turnkey ready-to-race car built by Long Road Racing. After a successful first production run of 108, Mazda recently announced several upgrades for the next batch of MX-5 Cup cars. The latest specification adds a motorsport specific transmission (presumably stronger than the road going version), uprated engine mounts, new differential bush inserts, new fuel pump-out kit, and updates to the engine management hardware and software. These developments have pushed the price of a car up slightly to $58,000 from September 2016.